The Sightmark Tactical Red Dot Sight is the best way to zero in on any target with lightning-quick precision. 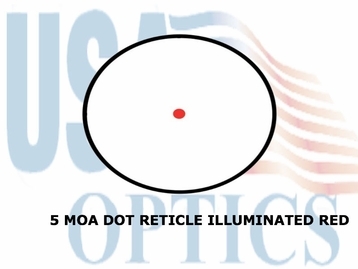 This sight has a wide field-of-view and unlimited eye relief for quick target acquisition. 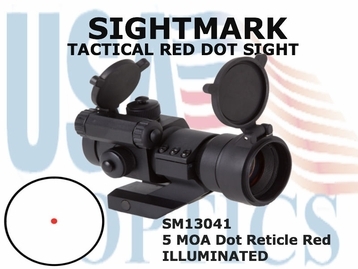 Its illuminated red dot quickly catches your eye, making aiming fast and easy, and delivering accuracy that is next to none. With a durable aluminum construction, hard anodized surface, and an integrated standard weaver mount, this 5 MOA red dot is versatile and ideal for most weapon types.